The structures of the native aortic root and valve perform very sophisticated movements during the heart cycle, interacting with each other to optimize ventricular-arterial coupling warranting hemodynamic efficiency and reducing stress on the cusps. 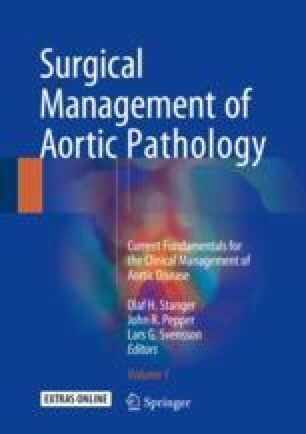 This remarkable functionality is based on the particular geometry of the aortic root and the elastic behaviors of the aortic wall as well as the aortic annulus. In ascending aorta replacement including root reconstruction, the so-called valve-sparing procedures, the balance of this subtle adjusted system may be impaired in different manners, depending on the particular type of procedure, the behaviors of the prosthesis, and also the implementation of an accurate geometry.